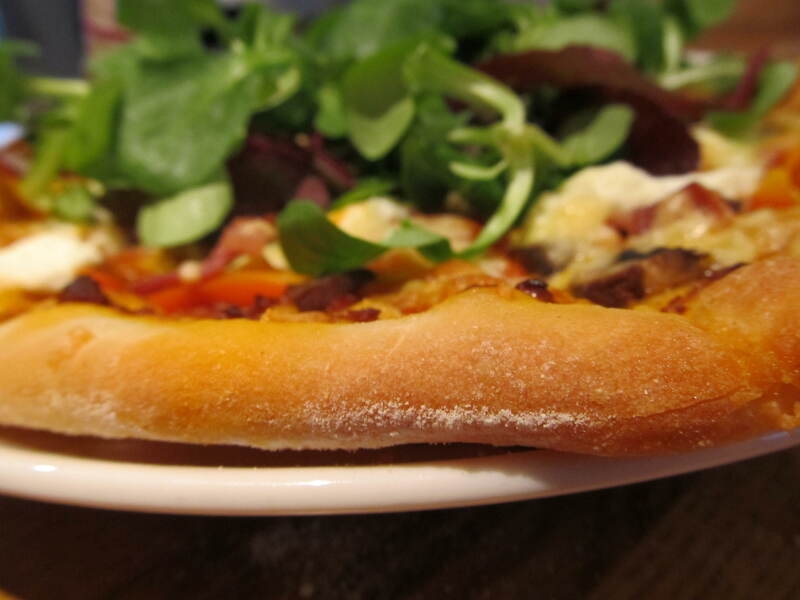 Its more than just any old pizza..
Jamie Oliver was the one person who really inspired me into making home made pizzas – and honestly you cant go wrong! (unless you miss read the whole recipe!) It is just so easy – even when your super busy its literally no time to prepare and cook, believe me! Make the dough, Roll out dough, cover base with ingredients, Bake and eat! Make the dough first thing before you leave the house, come home, roll, top and bake. Make the dough any time – leave to rest, roll and top then freeze for a super quick meal anytime! £5.70 for 6 pizzas – and here is the breakdown… 80p flour,£1 pesto, £1 cheese, 90p 2x mozzarella, £1.60 pack peppers, 40p pack yeast. 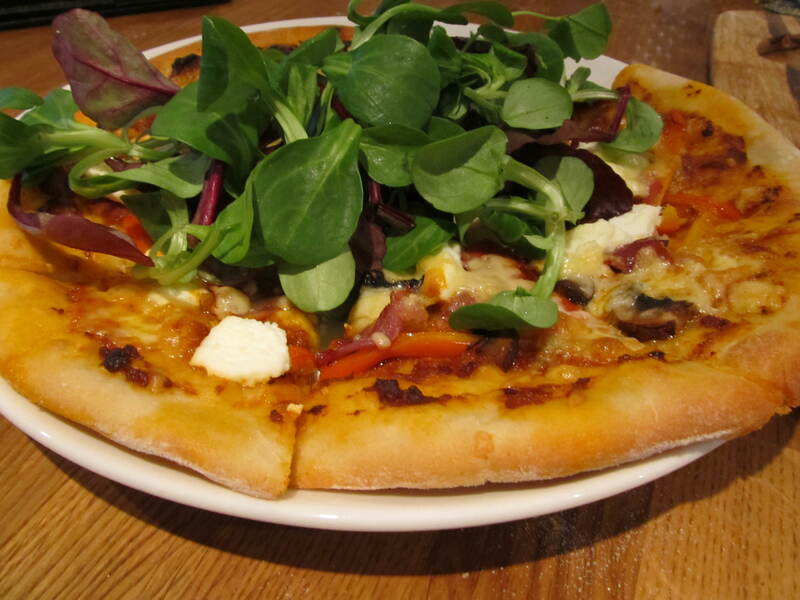 Plus maybe get some garlic pizzas out of the mixture too…. So thats two for tonight plus four in the freezer? Or most of the ingredients will keep so have the rest another time? And yes it really is lower in fat than most bought!! Win! 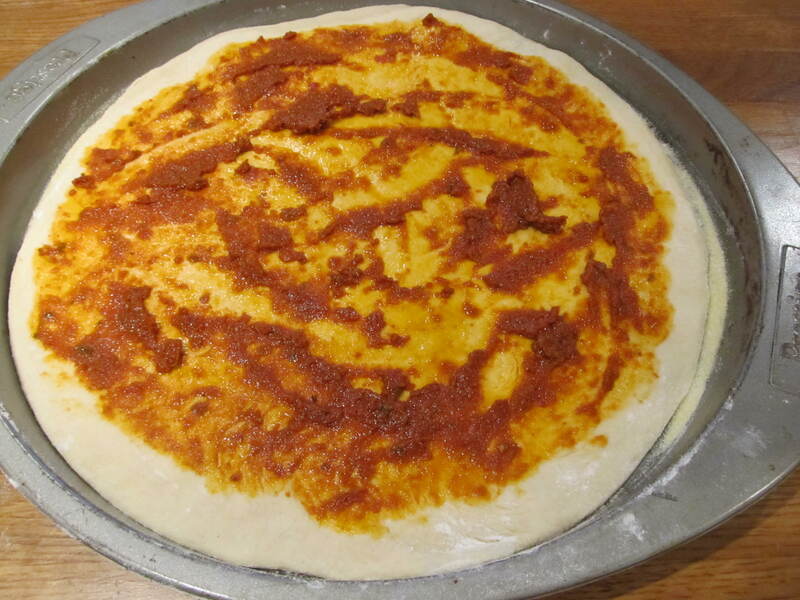 Pizza Dough (makes 2 large) can be doubled / tripled easily….. In a measuring jug filled with warm water add the yeast and sugar stir, leave to rest (activate!) whilst you measure out the rest of the ingredients. Place the flour into a large bowl and make a well in the centre. Pour the olive oil followed by the yeast mixture into the centre and mix with a fork. Once the dough starts to form a ball, tip the bowl over a lightly floured work surface and kneed until a smooth elastic consistency is formed. Now you can leave this to rest for as long as you like in a lightly oiled clean bowl at room temperature covered with a damp tea towel or follow the steps below to carry straight on with baking/ freezing. Knead the dough for a minute then divide by two. 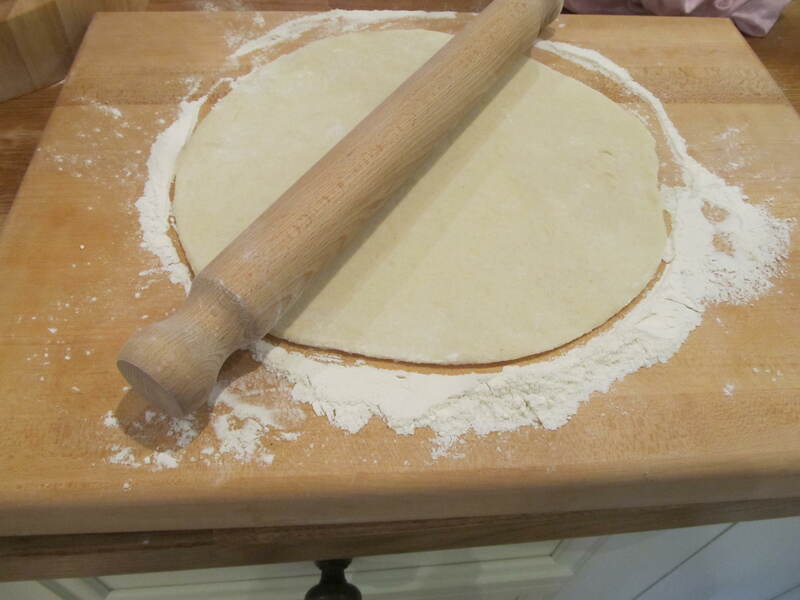 Roll each pieces of dough out to the desired size of baking tray. Using a spatular spread the pesto across the base of the pizza leaving a good 1/4 inch border. Scatter the peppers and ham evenly over the top, followed by small drops of ricotta and mozzarella. you can bake or freeze it at this point. If baking place into the oven for 10-12 mins at 180 fan or 200 served with a nice green salad.